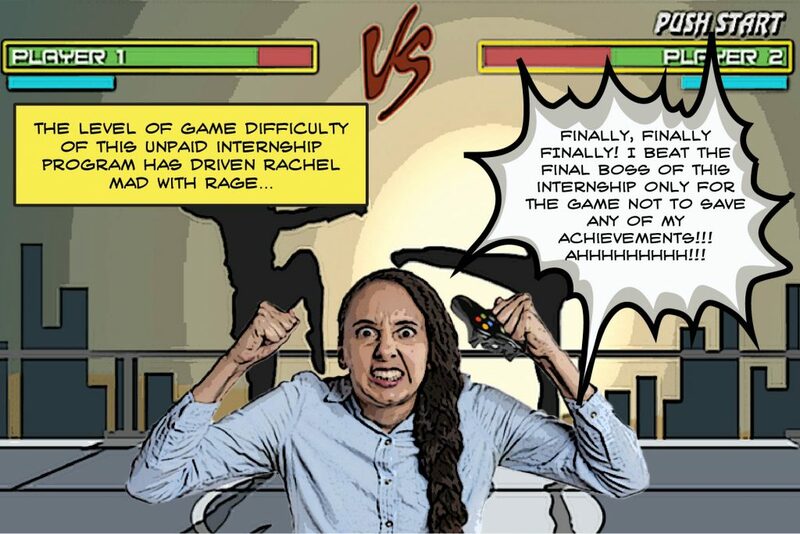 Unpaid Internship Programs: Want to Play this Game? Some companies have been running a rigged game for interns to play. Their unpaid internship programs offer the chance to gain experience but leave their interns without anything to show for their hard work. It’s similar to winning a video game without a big loot-drop at the end. Gamers grind their characters into the perfect build by gaining the experience, knowledge, and tools for that big reward after the final boss. So imagine not receiving any reward after the game is complete. Unpaid interns would work for companies with nothing to show for their labor. To help, the government created laws that companies must follow to protect unpaid interns from being exploited. Completing a video game doesn’t entitle you to anything. The rewards you receive at the end of a video game depend on how well you play the game. Landing the job at the end of unpaid internship programs is possible. Although most interns aren’t compensated for their work, they still get something out of the time they devoted to the internship. As a solution, companies promise interns with real-world work experience. Under federal law, companies must give minimum wage, overtime pay, and other benefits to employees. However, In the case of Walling v. Portland Terminal Co., it’s possible for companies to have an exemption. With this said, the supreme court made a clear distinction between an employee and an intern. An employee is someone who’s hired to work for the company’s benefit. If you’re working for personal gain in the form of experience, that’s what makes you an intern. To be clear, the supreme court created six factors to define what an intern is. The internship, even though it occurs on the premises of the employer, is similar to training which would be given in an educational environment. The employer that provides the training derives no immediate advantage from the activities of the intern; the company accepts that on occasion, training the intern will impede workplace operations. Finishing the internship doesn’t guarantee a job for the intern at the company where the internship took place. The employer and the intern agree to the understanding that the internship is unpaid. Guides and walkthroughs help you play video games. You use them to navigate the game worlds and handle the controls properly. With these laws, companies take the role of guides and walkthroughs. In fact, the laws governing unpaid internship programs require companies to teach interns about the field they’re working in. This knowledge helps unpaid interns receive experience, while at the same time, companies get an idea of how the intern performs in their role. This relationship between the interns and the company opens up the possibility of a job opportunity once they complete their internship. Interns must comprehend that their role in unpaid internship programs won’t be compensated with money. Clear communication helps both parties recognize their roles. Unpaid internship programs with misleading paperwork causes confusion to the interns and leads to dissatisfaction. In a video game, it’s important that guides and walkthroughs are accurate. If not, you’ll have a hard time playing the game and want your money back. In the case of unpaid internship programs, this lack of documentation can be a red flag indicating exploitation. As video games became more violent, criticism grew in response. Critics argued that the violent and adult content of video games harmed children. For this reason, they created the Entertainment Software Rating Board (ESRB) which assigns age and content ratings to video games. The laws governing unpaid internship programs work similarly. College years are an excellent time to gain hands-on experience in the workplace. If you’re a late high school or college student wanting to get an early jump on your career, you’ll gain the most from unpaid internship programs. As a result, the laws governing unpaid internship programs protect student interns. If you decide to go this route, you should focus on companies with an educational component to their unpaid internship programs. Just be careful to read the fine print, companies should state in writing if their unpaid internship programs count towards college credit. Unpaid internship programs should benefit student interns as a crash-course in real-world work environments. Saved data logs the progress of video games. Losing all your achievements after hours of gameplay is a soul-crushing feeling. Likewise, unpaid internship programs can cause these same problems. Therefore, companies should create an internship program with scheduled starts and end dates. Companies must maintain records of an intern’s work hours. Unpaid internship programs must prioritize their training and supervisory aspects. Then, interns will put their training into action. Interns need to be cautious of companies who use unpaid internship programs as a source of free labor. The laws governing unpaid internship programs prevent companies from using interns as substitutes for employees. It’s important to know the laws in place to help you when it comes to unpaid internship programs. Understanding these laws will help you get the most out of your experience with unpaid internship programs. But everyone’s got to start somewhere, and sometimes you can get started without having to leave your home.